Let me start by saying this isn’t a Frozen-bashing post. I actually enjoyed the movie, and my six-year-old daughter loves it, which is really the main goal of an animated film such as this. Also, there were a lot of things I really loved about the movie. I loved the music, of course. It’s beautiful and well-done and gets stuck in your head for inordinate amounts of time. I loved that it wasn’t a traditional love story. The “act of true love” wasn’t about a boy and a girl, but about the relationship between sisters. I loved that Disney poked some fun at themselves with the “you can’t marry someone you just met!” theme. It was fun and cute and definitely a better message than the love-at-first-sight that the average sixteen-year-old Disney princess ends up with. There were definitely things I thought made it less of an awesome movie than it could have been, too. The plot. There wasn’t really much to it. Think about it, all the things that happen, there really isn’t much there. It’s really very simplistic. Elsa has a power. Elsa can’t control her power. Elsa hurts Anna. Elsa has to hide her power. Elsa feels alone. Elsa runs away. Anna tries to find her. Elsa pushes her away. Anna goes home. Bad guy tries to take over. Elsa has an epiphany. Happily Ever After. The one major twist, with the revelation that the prince is the bad guy, had major plot development and character flaws. Which brings me to the second major thing I didn’t like about it. The Bad Guy. The prince turning out to be the bad guy was a cool concept, but was extremely poorly done. It literally came out of nowhere, and while that served to make it nice and unexpected and twisty, it also made it extremely confusing and nonsensical from a character standpoint. Let me explain. Up until the moment when Anna says “kiss me, I need an act of true love,” and he says, “sorry, I don’t love you, you whiny little twit,” (that’s a paraphrase), we had no indication that everything wasn’t on the up-and-up. This whole time, he’s been selflessly serving the kingdom in Anna and Elsa’s absence, telling the other bad guy what for, doing what’s best for the kingdom, and putting himself at risk for the sake of Anna and the kingdom. Now, from a character development standpoint, this could be explained by the fact that he’s trying to ingratiate himself to the kingdom for his eventual takeover, if we had any other clues to his true nature. Also the whole first scene where he and Anna supposedly fall in love. He’s sweet and understanding and they have lots in common and they have fun together. Again, could be part of his ultimate plot to win her kingdom, and could’ve been explained if we had any other clues that he might not be all he claims. But we didn’t. We had the opposite. We had all these character traits that made us like and respect him more. For example, when the prince goes to find Elsa and Anna. He makes it very clear that Elsa is not to be harmed. Several times over, he emphasizes that they’re there to find Anna, not to hurt Elsa. This makes NO SENSE in light of the fact that he’s later going to execute Anna in order to take over the kingdom. It would make far more sense for him to say “Save Anna at all costs,” because obviously he can’t be king until he marries Anna and Elsa is out of the way. Moreover, if something “accidentally” happened to Elsa, that’s one less step in the process of his hostile takeover. He can be the grieving boyfriend, “So sorry, Anna, we did all we could, she was just evil and stuff.” But no, he goes out of his way to SAVE Elsa. On top of that, when she’s rampaging, it’s the prince who talks her down. The thing that really put it over the top as far as his character change coming out of the blue is when he tells Elsa, “Don’t be the monster they fear you are.” Here he is encouraging her, saving her, talking her down, only to plan to execute her for being a monster later. It doesn’t make sense. It’s totally contrary to his true character and plot, and makes his eventual betrayal make that much less sense. Now, that was a good line. It was a powerful moment that was important for Elsa’s character development, but it didn’t make sense for the prince to say it. That line should have been given to someone else. Anyone else. The snowman, even. Because, coming from the prince, it endears us to him and makes his betrayal so far outside of his character that it’s an extremely poorly developed plot line. Also, as for it endearing us to the prince, since we’re rooting for him the whole time until the end, it messes up the actual love story between Anna and Kristoff. Which brings me to my final reason that this movie isn’t as good as it could be. The Love Story. The love story didn’t work. At all. We have this sweet, touching scene at the beginning between Anna and the prince, where they sing and finish each other’s sandwiches and decide to get married. We have no reason to believe that the prince isn’t a wonderful, upstanding dude, and so despite the fact that Elsa says, “No one’s marrying anyone,” we’re rooting for Anna and the prince to work things out. Then Anna sets out to find Elsa, and the prince is in charge, and by all indications is doing a fabulous job. Anna meets Kristoff. There’s very little chemistry and very little to endear him to us. Meanwhile, we’re still rooting for the prince because he’s this fine, wonderful dude, and we have little to no attachment to Kristoff. Even the life-and-death situations and facing off with Anna do little to make us think there’s anything more between Anna and Kristoff than partners on a journey to accomplish a goal. Maybe as much as friends, but nothing more. It isn’t until we meet the trolls and they’re trying to set Kristoff up with Anna that we even see that there’s a chance he could be a potential suitor, but we’re still in love with the prince, because he’s still noble and helpful and self-sacrificing, so we can’t really root for Kristoff whose best quality is that he has a quirky friendship with a reindeer, so there’s zero motivation for us to hope that Anna will change her mind and dump her wonderful prince for Kristoff. The first time we see that Kristoff even has any feelings for Anna is when he takes her to her prince in the hope of saving her life. And then it’s more of an “aw, how sweet,” moment, not a “No! Anna! Get a friggin’ clue, your prince is a weasel and Kristoff is who you should be with!” because at this point we still believe the prince ISN’T a weasel and Kristoff is just a dude she happened to travel with who may turn out to be a decent buddy. If we’d have ANY indication, any sense, like during the first song, that the prince wasn’t who he claimed to be, and that Anna was foolish for falling in love with him right away, we could’ve been on board with the whole Kristoff thing, but we didn’t so we weren’t. Then, completely out of the blue, the prince reveals himself to be a weasel, and the snowman informs Anna that Kristoff loves her. Again, poor storytelling. 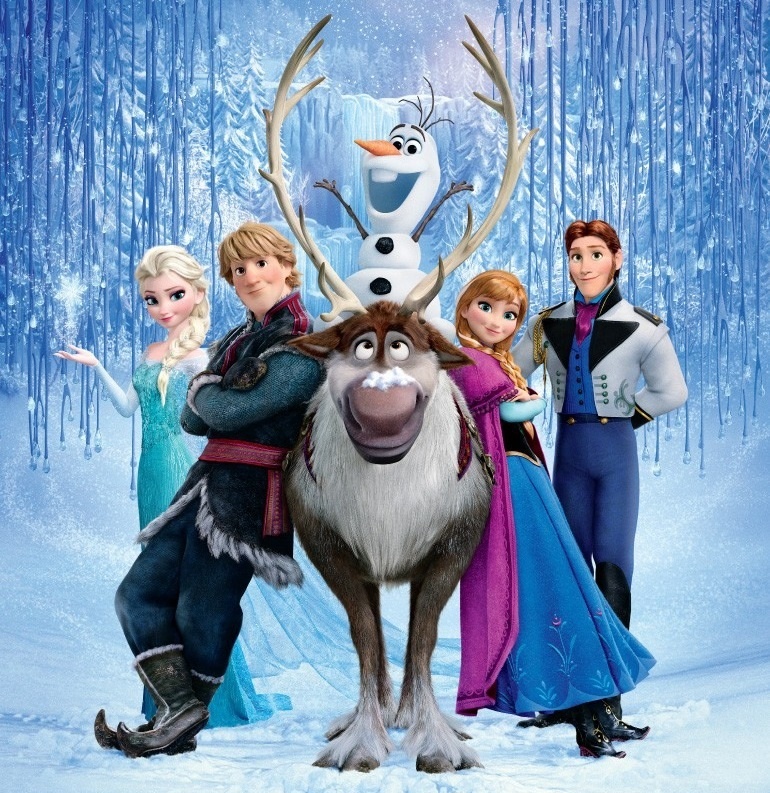 We should’ve been shown that Kristoff loves her throughout the last hour of viewing, not told so by a snowman. We should’ve been shown that the prince was a weasel so we had a chance to let Kristoff endear himself to us. We should’ve been shown the process of the real romance unfolding between Anna and Kristoff, because otherwise it’s not that different for Anna to fall in love with Kristoff as soon as the prince is out of the picture than it was for her to fall in love with the prince upon first meeting him. So. While I enjoyed the movie for its good qualities, I thought it lacked quite a bit in storytelling and character development, and I don’t think it quite deserves the acclaim that it has gotten because of the major plot holes and poorly-developed characters. I agree with you about the prince’s character development. I would have to say that is the ONLY thing about the movie I wasn’t crazy about. But I think the point of the differences between the two men (the prince and Kristoff) is to show that what “looks” good isn’t always what it seems at first glance, and just because someone is flawed doesn’t mean they aren’t good. You know? But, I found myself starting to cheer for Kristoff when he rushes Ana out of Ela’s castle. I honestly thought Avily was referring to “frozen” versus “fresh” vegetables. I must desperately need some lunch. 🙂 But, she’s right – for me, above all on the prince’s character. No one that noble for that long suddenly changes into the opposite. It was an interesting plot twist indeed, RWC, but for me the one serious flaw was that no one so noble for so long goes so sour so fast. And someone like Anna – having ENFP cognitive preferences, like so many Disney heroines and heroes – should’ve been able to spot such radical inauthenticity a mile off. [I say that now especially – I add here – because I have an ENFP-preferenced girlfriend who does. It’s uncanny.] Now what *really would’ve been cool as grounds for that part of the plot would’ve been hints that she spotted but ignored, for we of ENFP preferences do this too in real life. I was a little surprised that you wrote that you didn’t see ANY indication that the prince wasn’t all that he seemed. I agree that there wasn’t any overt betrayals of his true nature, and not many subtle ones either- but they were there. In particular, the “rescue” at the ice castle. During a lull in the action outside, he glanced up and saw Weselton’s men running up the stairs into the castle. He didn’t call them back to help in the fight, he didn’t follow them to help, he simply let them go (and THEN got knocked down). Then when he was inside the castle and talking Elsa down, he glanced to his left and saw one of Weselton’s men aiming a crossbow at Elsa. He didn’t shout a warning, he didn’t push her out of the way, he continued to speak calmly as though nothing was wrong. They definitely could have made things a little more obvious, but, if you pay close attention, you see him showing off as a hero, but always leaving room for others to do the dirty work without making him look bad. Even at the end, when he’s hunting Elsa down across the ice- he only shows his true self when he is sure that no one else can see him and report back. I do give them a little more leeway than I would otherwise, though, because I know that Elsa was originally intended to be the villain. It sounds as though they already had some of this done before they made the change, so it’s definitely not as smooth as it could be. I’ll have to rewatch and look for those things, but they weren’t things I picked up on or that would’ve made me think he wasn’t a stand-up guy. Well, I knew it would be a good post when I noticed the River Song reference :). Also, as Wordvixen pointed out, there ARE subtle hints about the prince, but they are ridiculously subtle. The one we noticed was that in stopping Elsa from being shot, the arrow was “accidentally” fired at the rope holding the chandelier. But we totally did not see that the first time at all. See, some of those may have been hints, but they could also be explained as coincidence. For me as well, the sheer joy of doing good for others would make me think in the Prince’s position, “So why am I secretly plotting to take over again? Why not take the throne legitimately if possible and win Anna too?” And then we could’ve had a nice conflict between him and Kristoff, perhaps, if an honorable one. I know a Disney film always has to have a villain but my favorite Disney villain, Hades in HERCULES, would be laughing his blue hair off at the incompetence of this one. I can just hear his voice, “Wouldya look at THAT? He makes even my flunkies look good, and that takes some doin’, babe!” 😀 Meanwhile, the opportunity to make the greedy old man the chief villain was wasted. He could’ve been fun – fatuousness is always good to work with in a Disney villain (again, consider Hades). That video: exactly. Also in FROZEN there is no explanation of where the “curse” came from or that in reality, it is no “curse”. That one opening remark by the troll on the little video should’ve shaped the whole plot of the movie. It would’ve been a different movie to be sure… but a better one. I *wanted* to like this movie–it was funny and cute, etc. But by the time the trolls were singing, trying to set up Kristoff and Anna, I was sick of being beaten over the head with the message of the movie. Yes, this is a PERFECT example of message-driven fiction. When my husband asked what I thought about it, I went on a 45 min tirade of exactly the things you said. I get realllly upset at poorly-done stories that should’ve been great. Might not have ended up hating it quite so much if there hadn’t been a HUGE explosion over the song and then quite a few well-meaning Christian friends resorted to piracy to watch the movie online before it was out of theaters (justifying it by how many times they’d already watched it in the theater). Yes! Totally agree. I had Kristoff pegged for Elsa since he loved ice. It threw me when he was paired with little sis at the end. About the music: It is really too bad that 1) some Christians I know resent the song “Let It Go” for the kind of subtle rebellion it seems to promote and 2) both Disney in some promotions and worse, many in the secular audience seem to take it as an anthem of open rebellion. I mean in both cases against “rules”, but what Elsa means is being taken out of context in both cases. But here is something FROZEN did very, very right dramatically and as a writer I got it at once. First, as the saying goes, to make drama work you have to give the Devil some really good tunes. Second, once you do, if you’re going to make a moral point for good (as fairy tales do), then you need a payoff to match – a tune to meet or beat the Devil’s (anyone remember the song “The Devil Went Down to Georgia”?). So I nanny a 1 year old who watches just about anything that moves. I put Frozen on for him and he watched for about ten minutes and then gave up. (He made it as far as when the prince gets run into the light pole, which made him giggle – you know, violence that serves no purpose – and then didn’t care after that). And then we followed it with a last minute 180 degree character change. So now we’re telling girls that you can’t count on anybody.